The coffee shop was kind of quiet when i was there for the Hainanese Chicken Rice Ball. 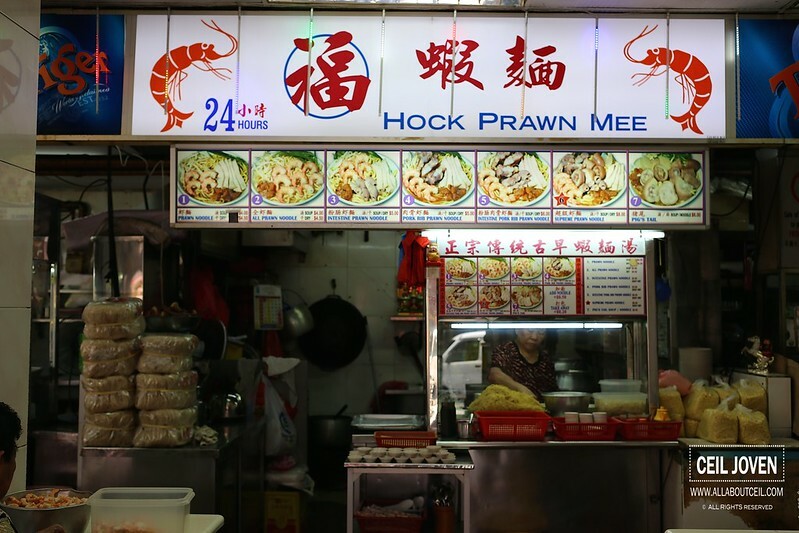 This prawn noodle stall is the default option if you are looking for an alternative. This stall was manned by 2 elderly ladies at that time, one of them seated at the table in front of the stall and other was doing some preparation work right behind the stall. 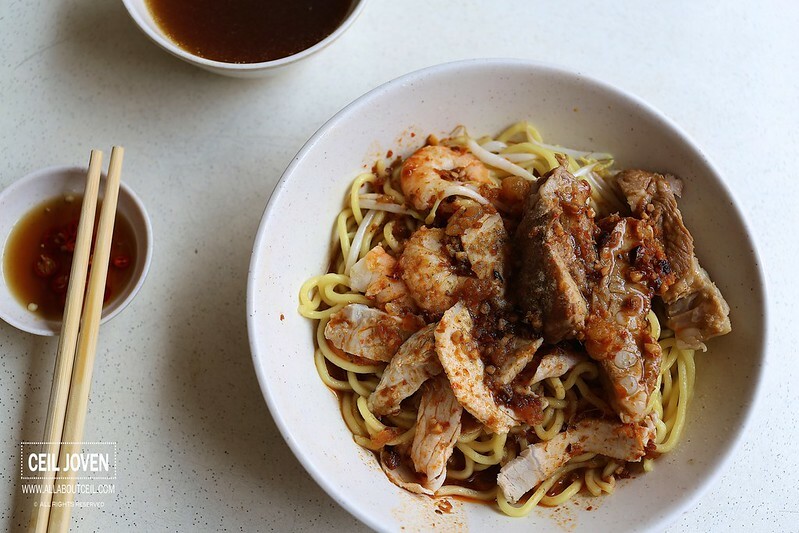 A basic bowl of prawn noodle is priced at $4.50 and if you want to include pork ribs then is at $5.00. I would think it is slightly on the steep side. 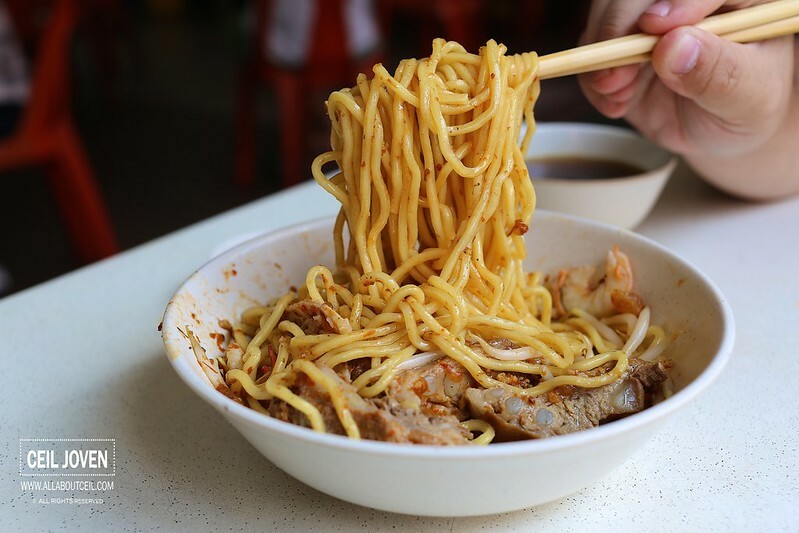 This coffee shop is located just across Sim Lim Tower and the high rental might be the reason for such a pricing. I was asked to take a seat by the one of the 2 elderly ladies. It was then served to the table in about 5 minutes. The portion and ingredients given were enough to justify the $5 charged. 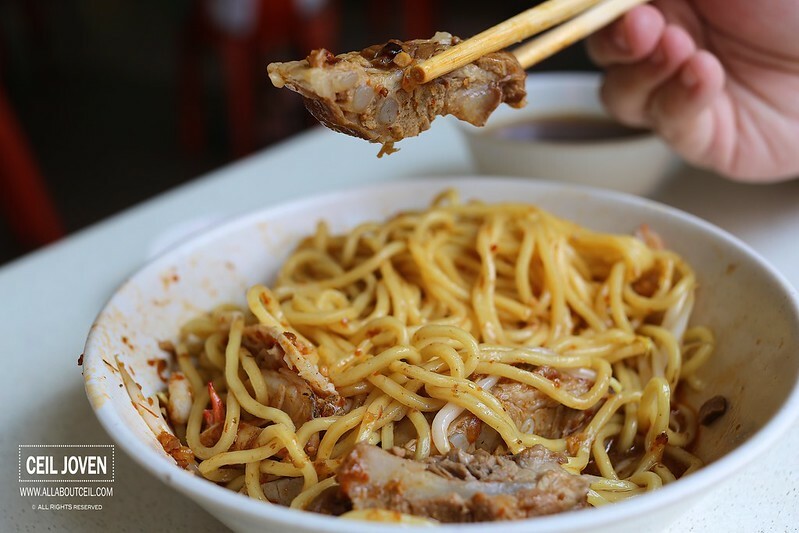 A handful of nicely cooked yellow noodle was served with 2 pieces of average sized prawns, slices of lean meat and a few pieces of pork ribs. The taste was much better than expected. After tossed it well, it tasted quite nice actually. The chilli has a nice hint of spiciness but it is not overpowering. The pork ribs were delightfully tender, it was so soft then it pulled away from the bone effortlessly when bite upon. And not forgetting the bowl of soup that served along with the noodle, it has got an intense prawn flavor which i liked. 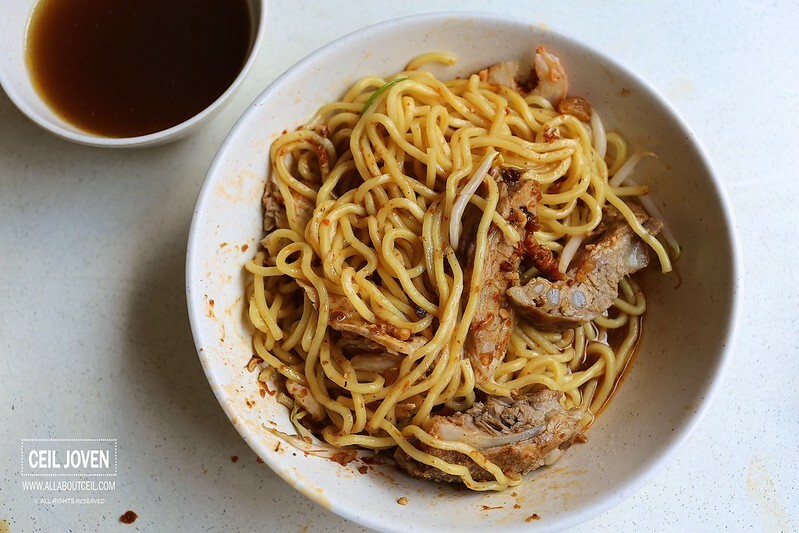 It tasted quite different from some of the other prawn noodle. It has an old school taste that you do not quite likely to get it these days. Though simple but i somewhat enjoyed it. This is quite a good choice for supper since they operate on 24 hours from Monday to Saturday. I am likely to come back if i happen to be in the vicinity.